Tye Dye Everything is located in downtown Moscow, Idaho, a comfortable, easy going college town and mecca for many alternative minded people. 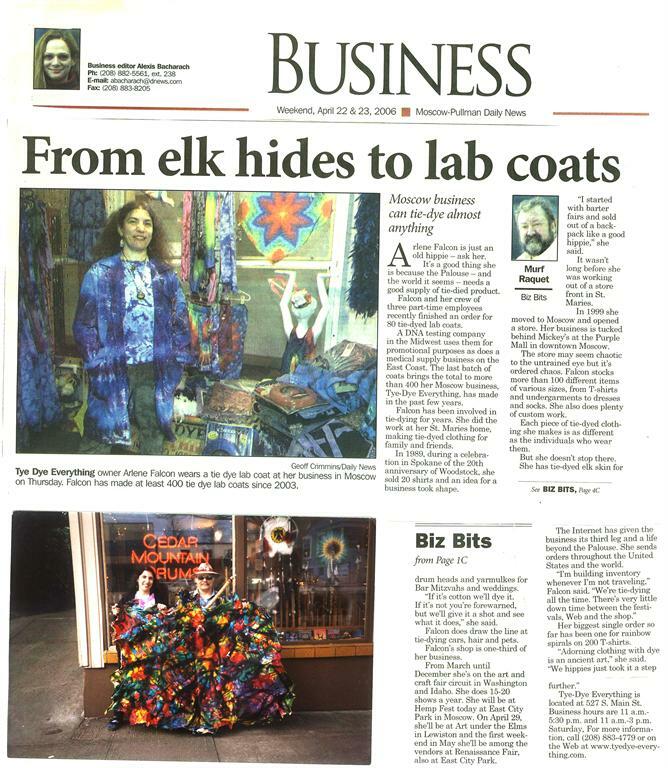 From the humble beginnings of tye-dying at the kitchen table in the mountains of North Idaho in 1989 to a great store in downtown Moscow since 1999, and now a brand new website in 2009, Tye Dye Everything has grown alot in 20 years...and almost has become an adult! We still play alot at work and enjoy creating all the wild and mild color combinations we can. Enjoy reading some of these stories, which includes a little history of how it all got started. 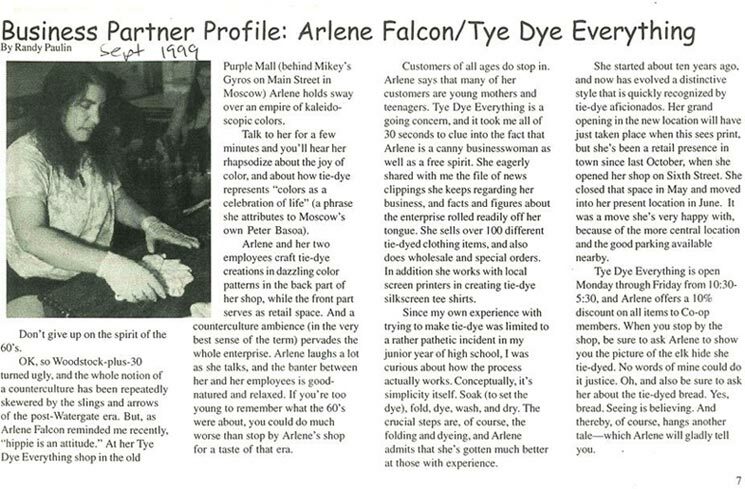 St. Maries Gazzette Record, January 31, 1999. Spokesman Review, May 23, 1999. Lewiston Morning Tribune, June 22, 1999.